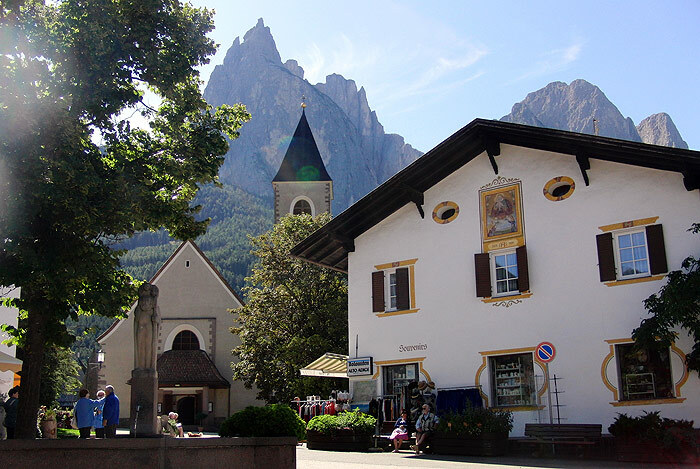 The sunny mountain village Siusi is located in a beautiful landscape at the foot of the most famous mountain in South Tyrol, the Sciliar . The ruins of “Hauenstein”, formerly in the possession of the poet-composer Oswald von Wolkenstein, towers over the region. 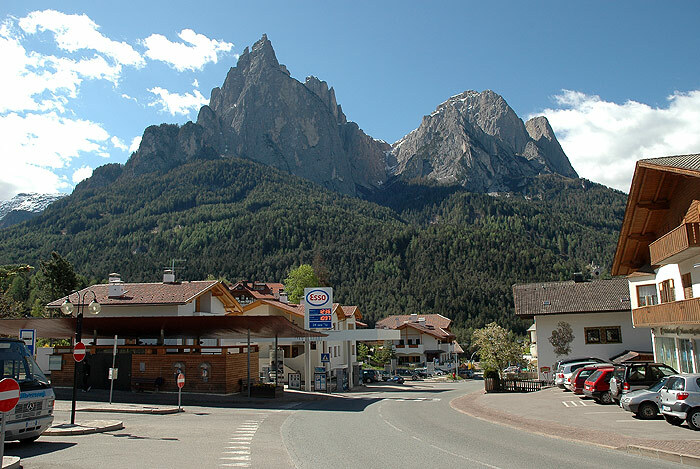 The impressive mountain panorama and the beauty of the surroundings are just two reasons why this place is a favourite holiday destination for many summer and winter guests. In the summer months there is a large sports and leisure program. Golfing, hiking, mountain biking and climbing area just a few sports that can be practiced. Picturesque views over the Valle Isarco and the environment open up often. During winter time, the Alpe di Siusi cable car offers an optimal connection to the Dolomiti Superski skiing area. The physically active guest can relax and enjoy the magnificent mountain panorama while skiing, snowboarding and cross-country skiing. Siusi allo Sciliar, simply called Siusi, has a nice, historic center with a few shops, bars, cafés, restaurants and hotels. 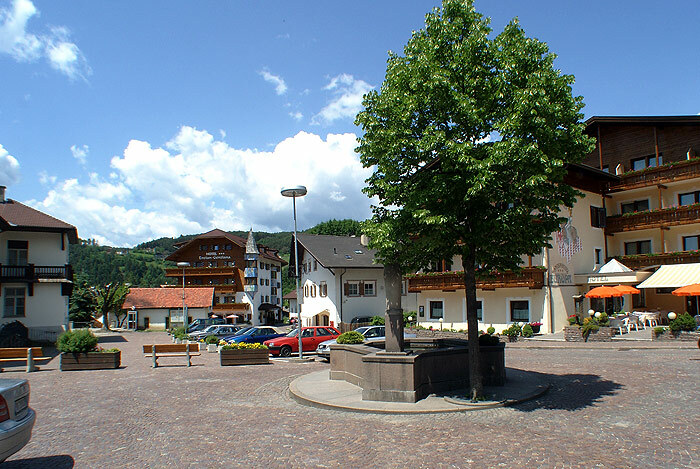 Agriculture and tourism dominate the Sciliar area and are the main source of income of the local population. 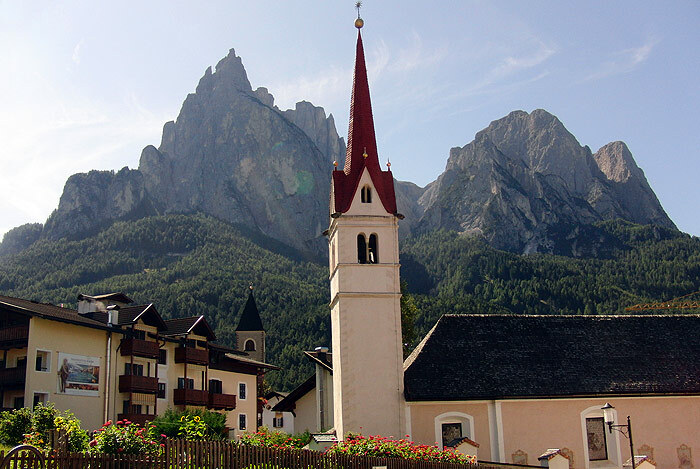 Here you will find useful information for your holiday in Siusi such as phone numbers of doctors, banks and the like. daily from 9.00 to 12.00 a.m. and from 4.00 to 7.00 p.m.
Telephone accessibility for home visits from 8.00 a.m. to 8.00 p.m. Opening hours: Monday to Friday, from 8:00 a.m. to 1:00 p.m. and from 2.30 to 4.30 p.m.; thurdsay from 5:00-7.00 p.m. Opening hours: Monday to Friday, from 8:05 a.m. to 12:55 p.m. and from 2:45 to 4:15 p.m.